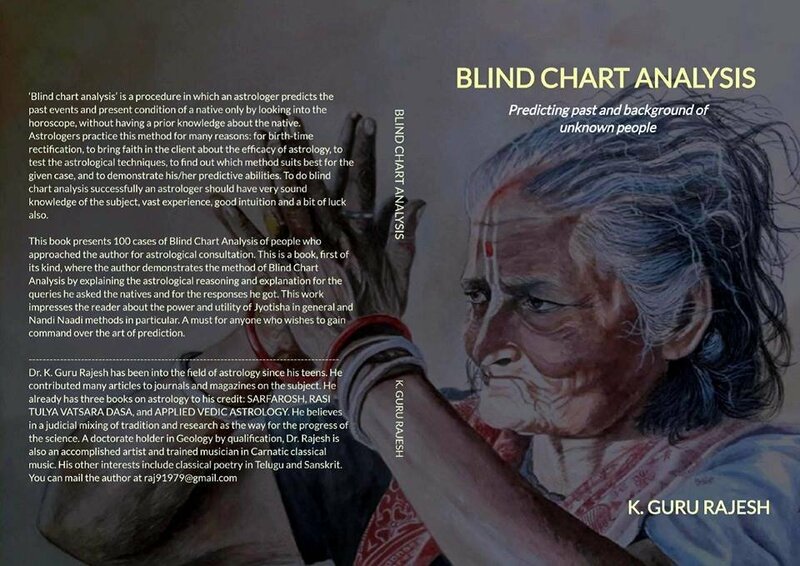 With an immense sense of satisfaction and fulfillment, we are happy to share you with that, the fourth book " Blind Chart Analysis - Predicting past and background of unknown people " has been published by our Scholar and Author " Guru Rajesh Kotekal ". It's size is 6 inch by 9 inch, nearly 450 pages and price Rs. 550 + postage charges (Total Rs.620/-).